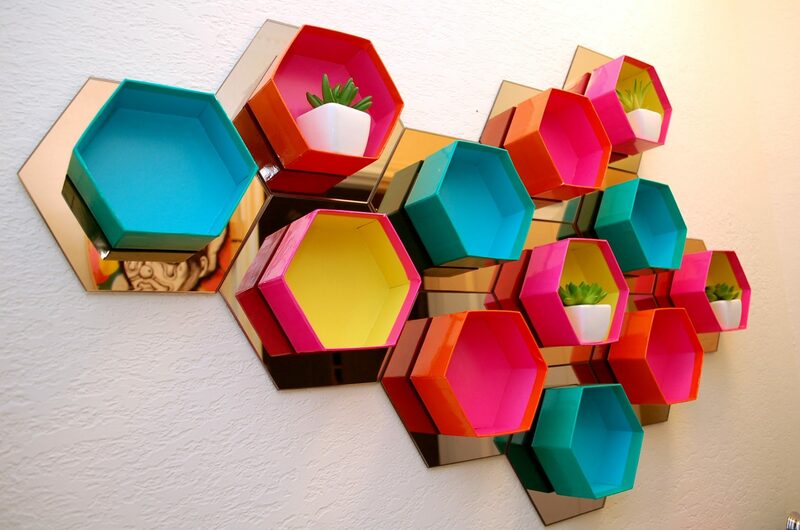 I love hexagons – whether in a honeycomb, on a quilt, or —in this case— as a wall shelf. 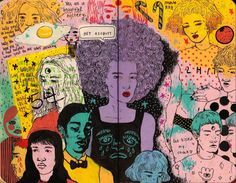 I have this thing for DIY Home Decor in case you have not heard. 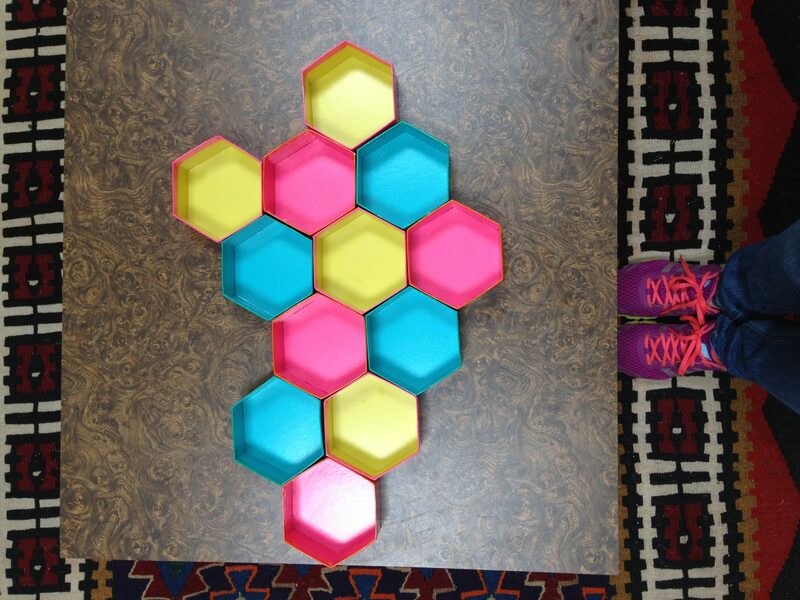 Bringing the hexagon trend to your humble abode is easier than you might think. 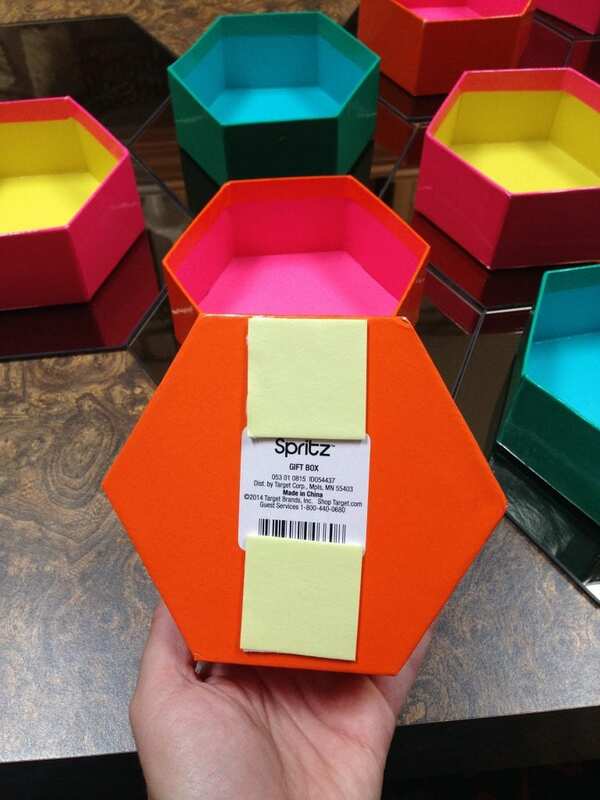 New shelving awaits you in the gift box department of your local Target. 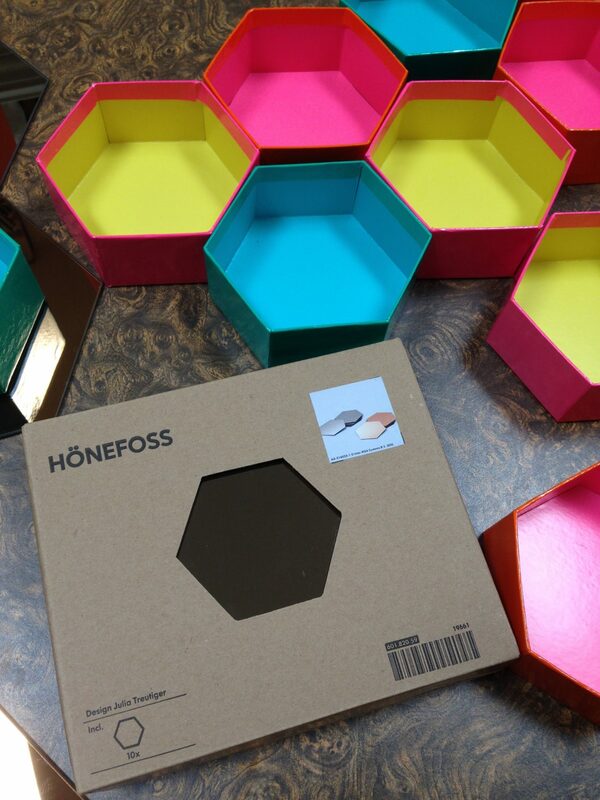 Arrange your gift boxes in the pattern of your choice. Remove the lids and set aside for another project. 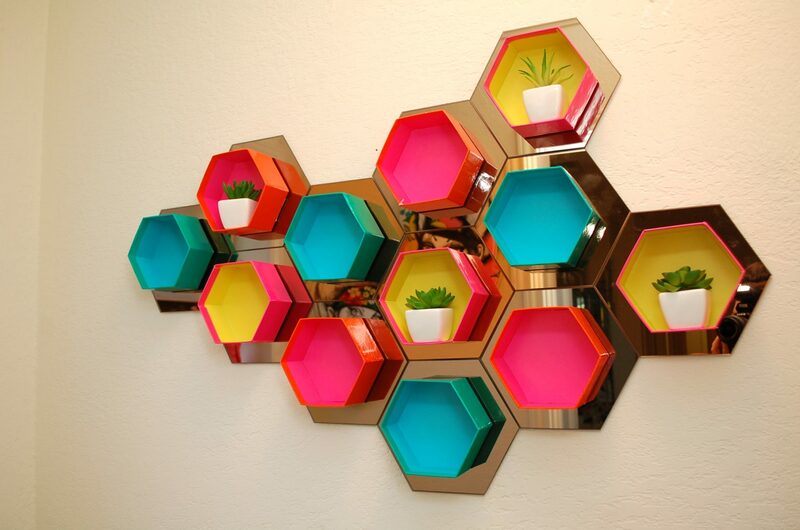 Remember that you have hexagonal wall mirrors from Ikea that you bought on an impulse and knew you would get around to using someday. 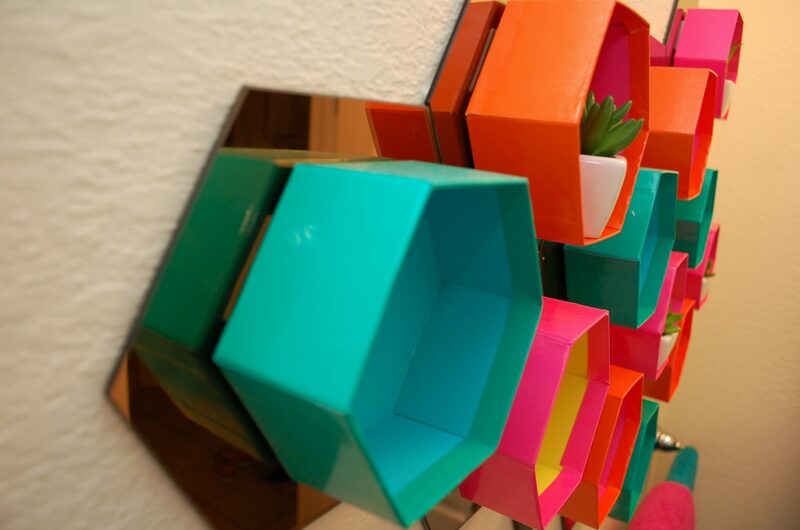 Using double-sided wall mounting tape, attach a gift box to the center of each mirror. Take a picture of the arrangement on your phone to use for reference. On the wall where you want to mount your shelves, mark the center spot. Start mounting your mirrors to the wall, starting from the center and moving out, looking back at the photo you took if you need to. The Ikea mirrors came with their own wall-mounting stickers. 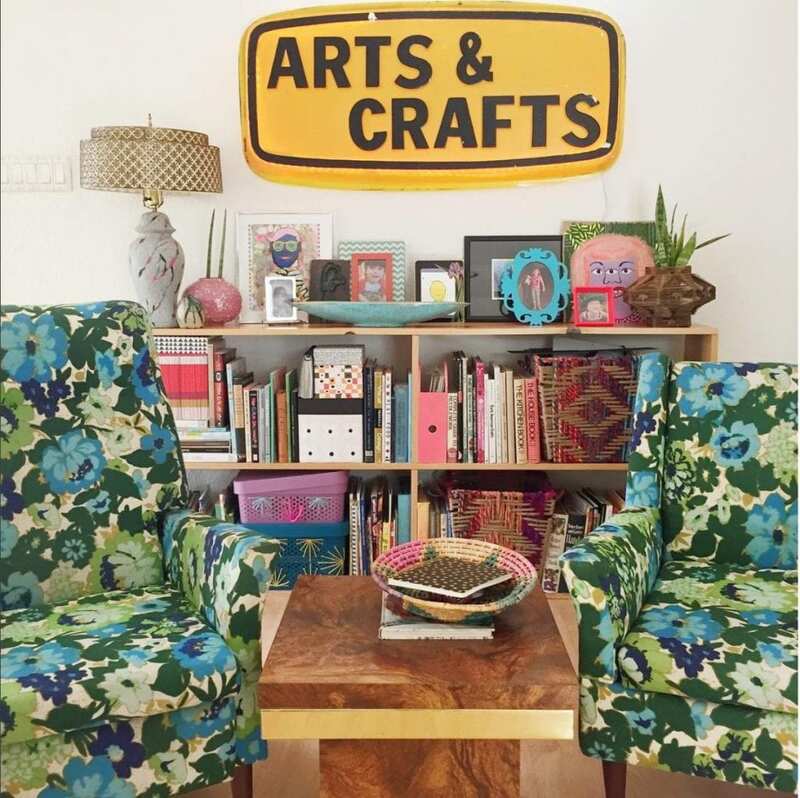 Fill your groovy new shelves with small trinkets and bask in their glory. Want more home decor inspiration? Eclectic Decor is an Understatement – Take a video tour of my entire house (when it’s not decorated for a holiday. 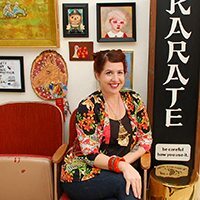 Full of kitsch, vintage furniture, art and more. 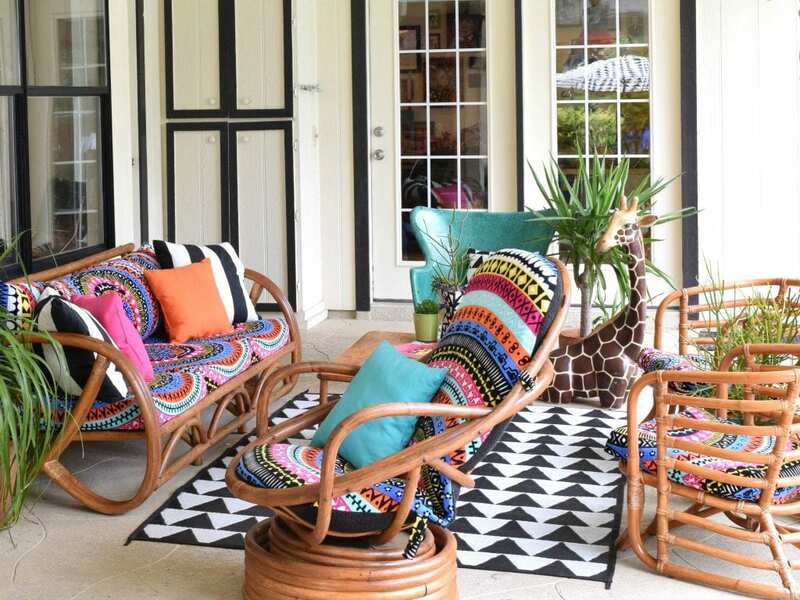 Backyard Bohemian Paradise – Get all the details on how to take indoor furniture out and make your patio or porch as lush and livable as a room inside your home. 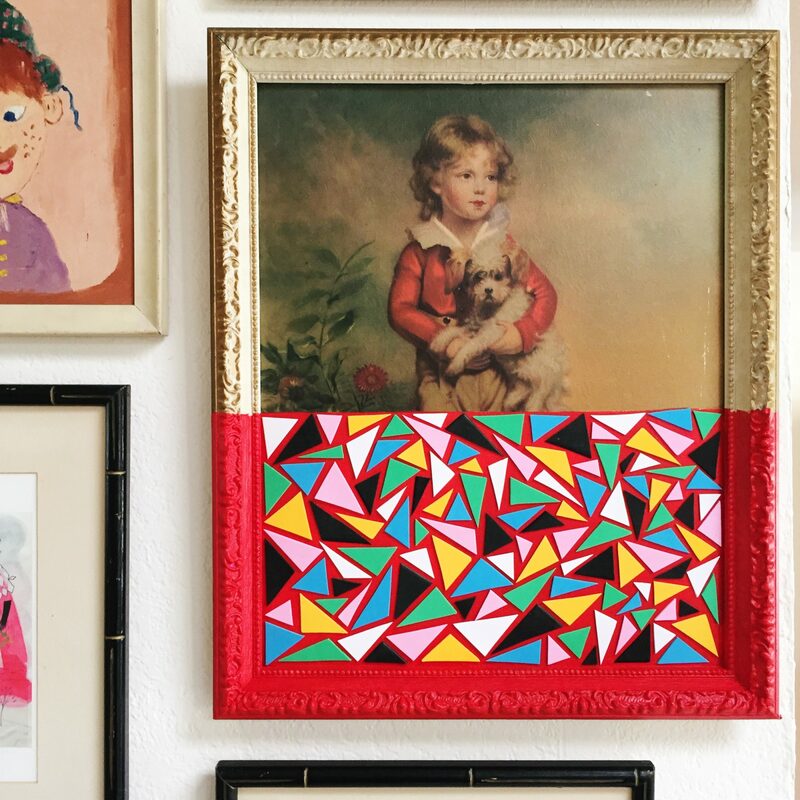 Thrift Store Art Made Modern – How to spice up your gallery wall giving a DIY spin to mass produced art from the thrift store. 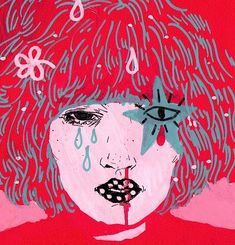 Posted September 8, 2014 & filed under BlogHer, Crafts, Featured, Home Décor Crafts. 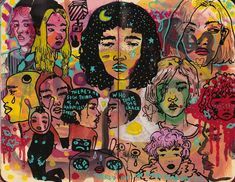 Hi, I love this!! 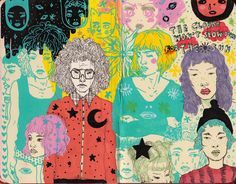 I want to make it, or at least something similar… I can’t find the gift boxes at either of my local Targets, and I was thinking that I’d just order some paper mâché ones online and dress them up with metallic washi tape or something. But I have a question: what are the approximate dimensions of the gift boxes? I’d like to get a similar size to yours, if possible!